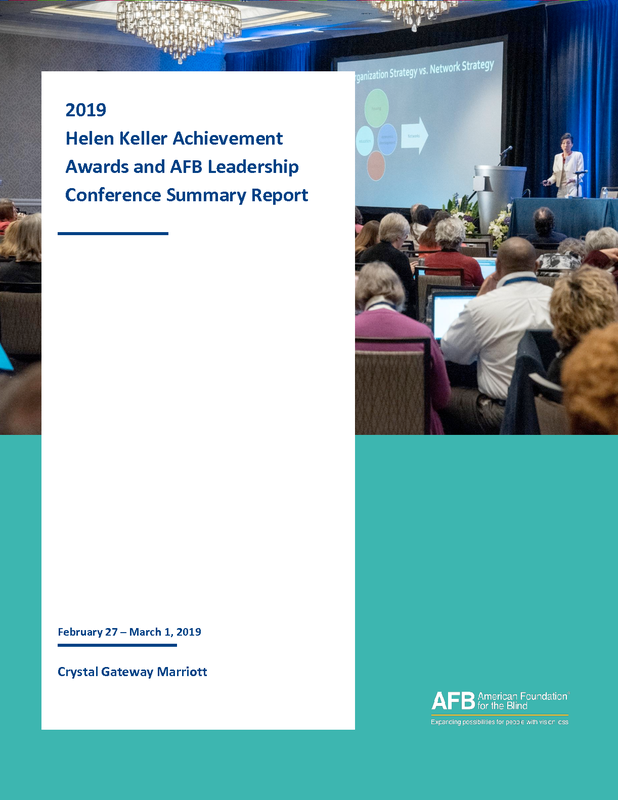 Meridian Compensation Partners was proud to sponsor the American Foundation for the Blind (AFB) 2019 Leadership Conference held February 27 – March 1, 2019 in Arlington, VA, which covered the most pressing and relevant topics in the field of blindness and offered many opportunities to learn from the best and brightest minds in the field, make new connections, and reunite with old friends. Held annually, AFBLC attracts established and emerging leaders in the blindness field. Conference attendees include technology experts, corporate representatives, university professors, and researchers. They come from diverse organizations and institutions spanning the public and private sectors. Meridian was honored to be a part of this inspiring event that attracted approximately 400 attendees from 43 states and three countries.